This exhibit was inspired by the Susan Molofsky Todres donation of the Medical Class of 1889 Glass Slide Collection to the University Archives. These slides open a window into the life of medical students and the progress in medical education during the late nineteenth century. 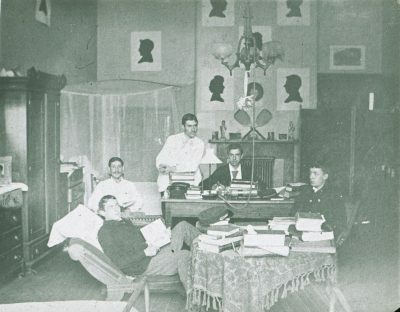 The Archives is pleased to have this opportunity to highlight the physicians of the Class of 1889 and the leading role of the University of Pennsylvania in improving medical education.